The team skipped this round. There's a lot of false modesty in Motorsport, but there was no way we expected to win our class, let alone be in an overall Championship podium position come the end of the season. So for budgetary interests we sat this round out. A quite stunning debut performance in the wet with ZERO testing. Another factor in skipping was Rockingham was to conspire to make the first round we entered in Britcar at Silverstone (just minutes from the Napier Racing workshop). 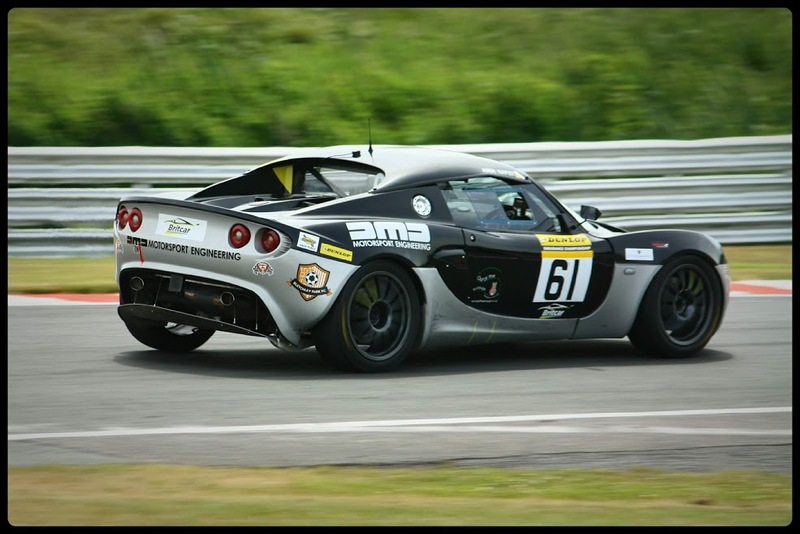 The night before the first race saw a number of us up into the small hours putting the finishing touches to the Elise. We were turning up at the full Silverstone GP circuit in a high profile series with a car which had only turned its wheels for about 5 hours on a rolling road. We had done ZERO actual track miles. New engine, new gearbox, new electrics, new body panels, and modified parts. A potential disaster waiting to unfurl. As an exercise in maturity of delivery it was borderline disrespectful. It could have left us embarrassed in front of thousands in real life (and eventually on TV). I was also incredibly rusty as a driver. having not raced anything properly quick in over 18 months. Unadulterated on the spot improvisation and ingenuity during a pit stop saved the day. In the end we ran at full pace for 20 minutes of practice + 30 minutes qualifying + two 50 minute races (half of the second race in soaking wet conditions) for a total of 2 hours and 10 minutes. In that time we encountered only two unforeseeable problems. Firstly a lead from a coil pack to spark plug kept popping off. 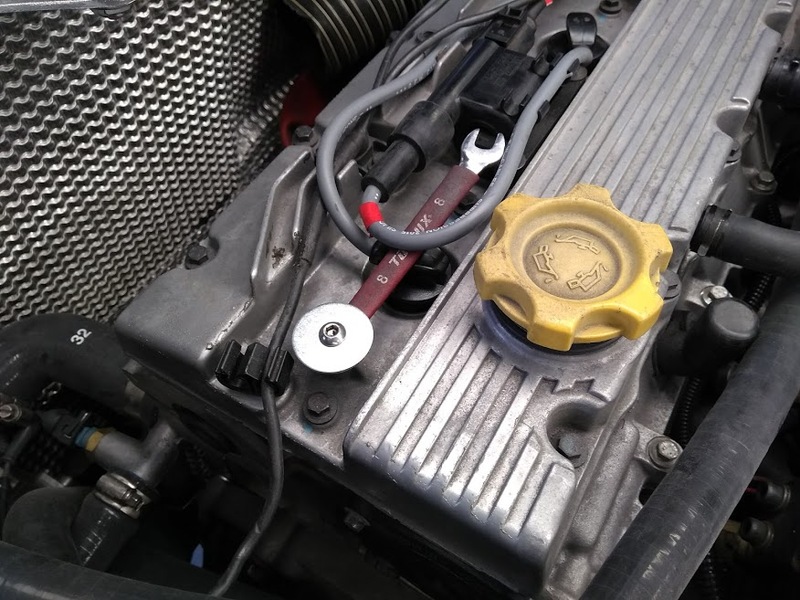 This was easily rectified during a routine pit stop with some on the spot ingenuity by Brian employing a spanner as an improvised retainer. The other issue being a slowly failing regulator pack on the alternator which fortunately revealed itself in practice and was swapped out before quali. With a pair of unprecedented trophies in hand and the car (and team) looking capable of being competitive throughout the season, by the end of the weekend we decided to find the money to enter the next round at Oulton. At Oulton Park Lakeside. Photo by Andrew Swift. Saturday morning came, and as soon as the Oulton noise regs permitted, the engine was once fired and warmed through in the garage, and all seemed fine. 30 minutes before practice and the team get the call to be ready for assembling. I hit the starter button and we are met with horrible, horrible noises. Some objective conference calling later we concluded that we should change the starter motor which we were slightly suspicious of, and crank the engine with no spark plugs. Fortunately the engine sounded mechanically fine, so what we had was a firing / fuelling issue. To cut a long story short, during the next stage of diagnosis I spotted a bright electrical arc out of the corner of my eye from the fuse box on the rear bulkhead which distributes power to key electrical systems. Closer inspection revealed a nut had unwound itself loose and consequently the electrical supply was compromised. Replacement with the proper locking nut corrected everything and once again we had a car in rude health literally just in time for qualifying. The classic Motorsport tale of a component costing 5p nearly bringing down the whole show! Once out on circuit for Race 1 my lap times came down consistently and I started to take time out of our competitors in class at a rapid rate. Things were going remarkably well considering the earlier events, and come our pit stop we were cruising to an unprecedented 3rd in class. By race 2 I was feeling much more dialed in. The timings from race one suggested that there was zero chance of me matching the Focus which had placed first in our class on outright pace. So the strategy was decided to push it for the first third of the race, be extra careful with our pit stop timing, and pit under a safety car and pin down P2. The strategy worked beautifully. I settled down into 2nd in class after a first lap overtake until around lap 7 when an incident triggered a safety car. We were very early into the pits, and managed to execute a great stop and remain on the same lap as the chain on track. The rest of the race was remarkably steady, and I eventually even lapped the car in 3rd place. Oulton mission accomplished: a totally unexpected 3rd and 2nd in class and 45 championship points chalked up. The Donington race began a little strangely with the news that our competitor in Class 5 Rob Baker's Smart had failed in practice, meaning that our only remaining competition was was the HSG Sport Ford Focus which despite being in the same class seemed to be around 10 seconds a lap faster on average than the other Class 5 cars. After a totally unremarkable first race we finished the 50 minute outing in P2. However race 2 proved even more successful after the aforementioned Ford suffered a serious issue gifting us our first P1 finish in class in Britcar. A not particularly exciting weekend in terms of actual racing but a much, much larger points haul than expected. 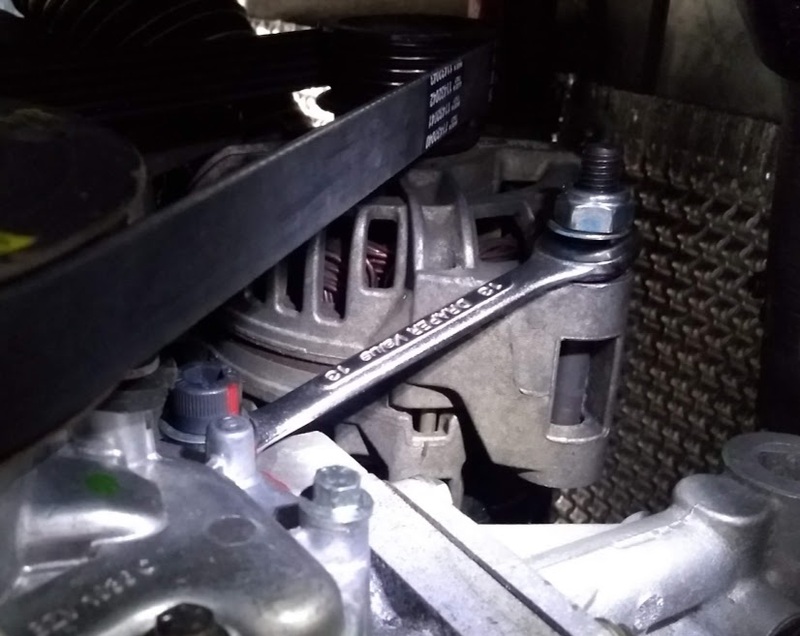 In fact the most remarkable event of weekend being the unexplained loss of the cars alternator tensioner between race 1 and 2 which was once again temporarily rectified with a tactically applied spanner. It’s always a fantastic feeling to get great results in front of your supporters. 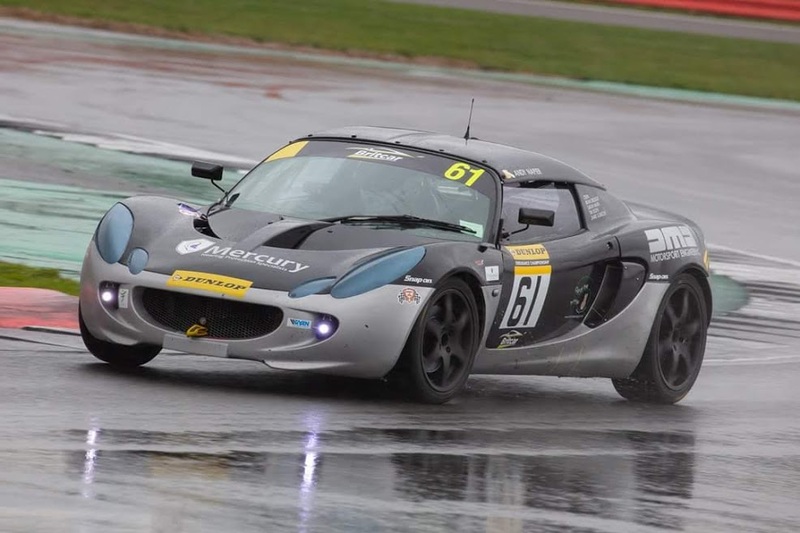 A gusty, grey and at times positively Baltic feeling Norfolk was the backdrop for another exhilarating raceday with a 1st and 2nd at Snetterton. More importantly the substantial points haul of another P1 and P2 put us in a position where we started to consider the previously implausible prospect of a Class 5 Championship win. The racing was exciting and very close between us and Rob Baker in his Smart with less than a second separating our best laps over the course of the 50 minutes races. Thanks to all the family, friends and supporters who came along on the day to support us at what is in many ways our “home” track. 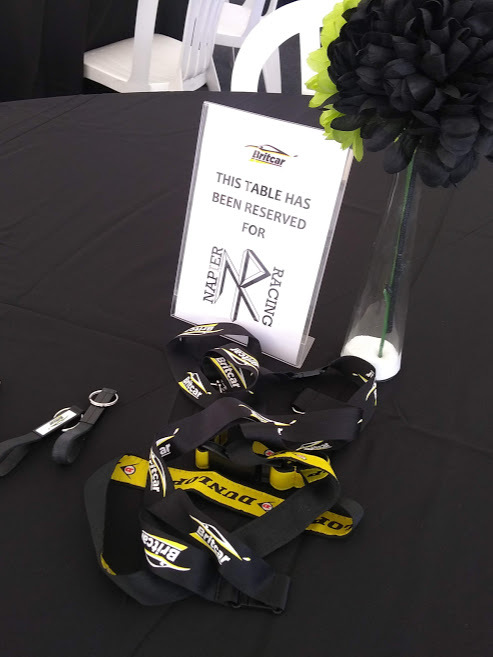 It’s always fantastic to be able to give something back to those who invest time, resources and emotions into our efforts - and the Britcar hospitality facilities did not disappoint. The autumn months of any year can present some challenging conditions to race in a Silverstone. However Round 6 of Britcar was in a different league to anything I’d raced in previously at the Northamptonshire venue. Many drivers and teams braved free practice in the torrential rain and lashing wind to attempt to gain a good setup for the rest of the weekend. However they all had their efforts cut dramatically short by a number of serious incidents. The most concerning being the retirement of my competition in class, Rob Baker having a terrible collision with a barrier resulting in his retirement for the rest of the weekend. Qualifying was run at a controlled speed behind a safety car. A course of action which I have never seen, let alone been a part of in my 12 years of racing. No competition in class meant that the races became an exercise in beating the miserable conditions. Despite the circumstances and a huge delta across the classes in closing speed, we managed to execute the whole show without a single Safety Car intervention. That is a glowing indictment on the exemplary standard of driving, respect and courtesy afforded across the board in Britcar. 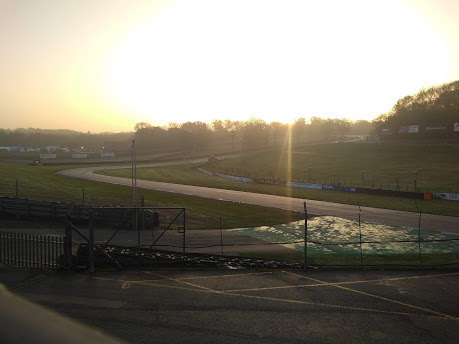 We were met by a cold, atmospheric, but fortunately dry Brands Hatch circuit. Over a month passed between the penultimate ‘conventional’ round at Silverstone and the season finale double-header of night races at Brands Hatch. In the interim, autumn had emphatically changed into winter in terms of temperature, but fortunately the weekend stayed very crisp but dry. The intervening period also allowed for plenty of time for a number of key modifications to be made to the cars, such as uprated lighting and door card illumination. Going into the weekend we found ourselves in the totally unfathomable position of being in tied 3rd place in the overall UK Endurance Sprint Championship. This naturally prompted the recurring question of what was our strategy to be over the weekend. The answer was simple: stay out of trouble, and do what we had been doing for the previous 5 rounds of the season. The ever industrious students of the National Motorsport Academy. Despite coming 2nd to the supremely fast Civic Type-R touring car of Synchro Motorsport in trophy terms, we were awarded P1 in terms of championship points due to the victorious Honda being an invitational entry. Retiring to the hotel for the evening the team adopted a philosophical mantra of “don’t talk about the points”. 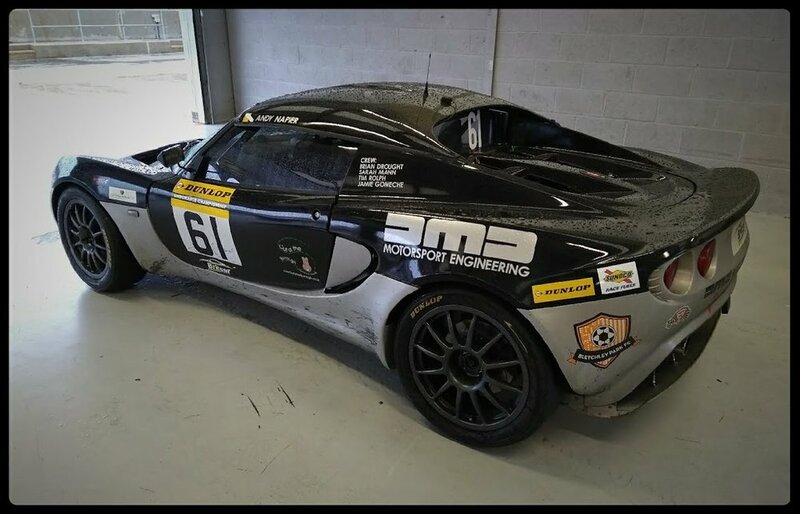 At this point we had done all we could, and even the Britcar officials admitted that they would require several hours to be 100% sure of the Championship standings. Sunday morning presented another hurdle to overcome in the form of a cracked catalyser replacement pipe which would need welding in the several hours before the race that coming evening. The championship points standings were eventually announced, and after several cycles of checking and re-checking, we arrived at the conclusion that to secure 3rd place overall, all we had to do was finish. 50 minutes of concentration and teamwork was all that stood between us and unprecedented success.